Whether you’re dipping a toe into the bitcoin economy for the first time, or are a long-time veteran of the digital currency, you’ll find there are several websites that prove to be invaluable resources for understanding bitcoin trends and transactions. The original bitcoin client, bitcoin.org includes an introduction to how bitcoins work, definitions of essential bitcoin vocabulary, links to bitcoin specifications and charts, and information for individuals, developers and businesses. “As the bitcoin economy has evolved, we have all noticed barriers to its widespread adoption – botnets that attempt to undermine the network, hackers that threaten wallets, and an undeserved reputation stirred by ignorance and inaccurate reporting. An active discussion site for all things bitcoin, the Bitcoin Forum features information for beginners, general discussions, boards focused on the bitcoin economy, areas for technical support and project development, mining help and local boards for speakers of Chinese, Spanish, German, Hebrew, French, Italian, Korean and other languages. One of the oldest bitcoin businesses, Mt. 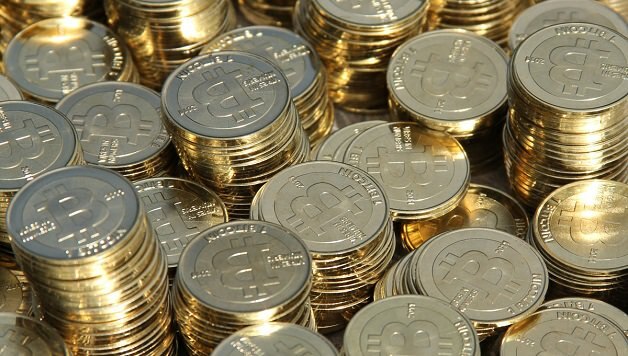 Gox is a trading platform that continues to handle the lion’s share of all bitcoin trades. It enables the global purchase, exchange and reselling of bitcoins in multiple currencies. It also provides tools to enable merchants to accept bitcoin payments through their websites. This wiki provides information for the bitcoin community in a format similar to that of Wikipedia. In addition to articles on hundreds of bitcoin-related subjects, the wiki also offers information in multiple languages, links to local bitcoin meetups, technical articles and best practices, and links to various bitcoin forums and chatrooms. This helpful site provides links to bitcoin software providers, charts, web-based wallets, stores, social media, videos and resources such as Satoshi Nakamoto’s original paper describing the Bitcoin protocol. Blockchain.info is a “bitcoin wallet and block explorer.” Owned and operated by the UK-based Qkos Services, Blockchain.info provides data on the most recently mined blocks in the bitcoin blockchain, charts on the bitcoin economy, stats and resources for developers. Bitcoinx.com provides a tool that’s especially helpful for would-be bitcoin miners: a profitability calculator that takes into account current bitcoin mining difficulty, bitcoins per block, mining hardware costs and other factors to determine approximately how much someone could potentially earn each day by mining bitcoins. Bitcoinx.com also offers market charts, a blog and performance/price information on bitcoin mining hardware and software. WeUseCoins is a site “dedicated to making bitcoin more accessible to beginners.” It provides basic startup information for individuals and merchants who want to join the bitcoin economy, a mining guide and additional resources in Chinese, French and German. Another site geared toward relative newbies in the bitcoin economy, Start Bit Coin provides basic information and guides for both potential bitcoin buyers and miners.